Photographer, Nicole Heitzman, has always had a love for anything RUSTIC! Weathered barnwood, windmills, old milk cans, rusty old cars, & other antique items all have a unique appeal to them. They tell a story to you! 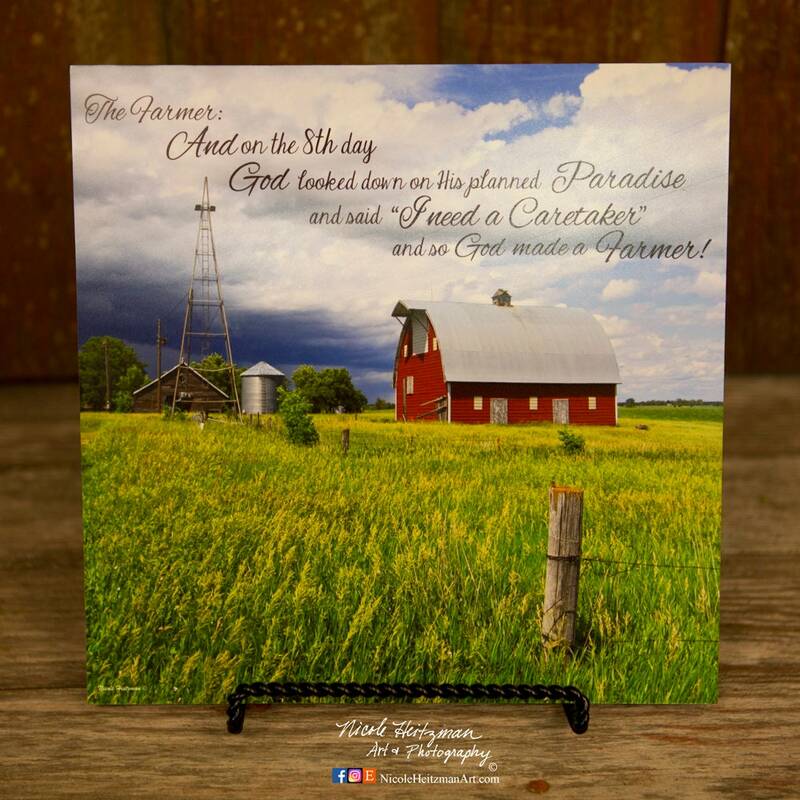 This stormy farmstead image was captured in Southeastern South Dakota! The image comes with "The Farmer" saying that is pictured. 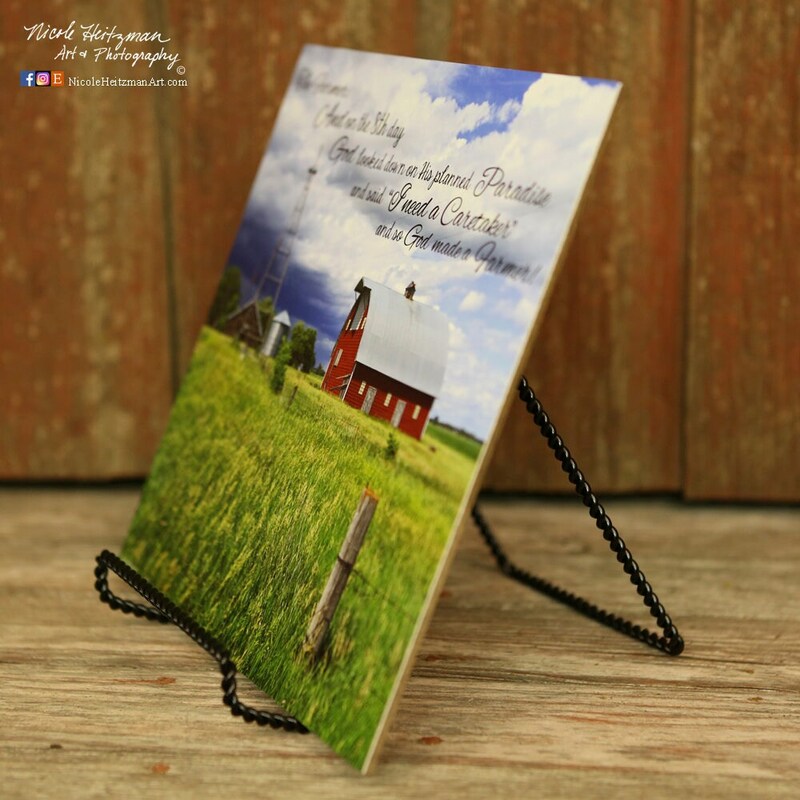 This is a 10"x10" photography luster print. It is mounted to a hardboard surface. The metal easel does not come with it, but you may inquire about purchasing one. The color of the screen may vary from the actual print.